SPG is a national leader in assisting over 60 government organizations create and implement economic development programs, of which over 30 were developed for Southeast United States clients. In fact, we are one of the few consulting organizations that has successfully prepared Economic Development Programs that serve as optional elements or, in certain cases, served as back-up to the Comprehensive Plan. We are also site relocators assisting industry in finding new sites for relocation or expansion. SPG has participated in over 100 industrial site selection research studies since 1974. These studies have focused on sites ranging in size from less than 100 acres to over 4,000 acres. We have extensive experience in the identification and evaluation of industrial site assets and constraints. 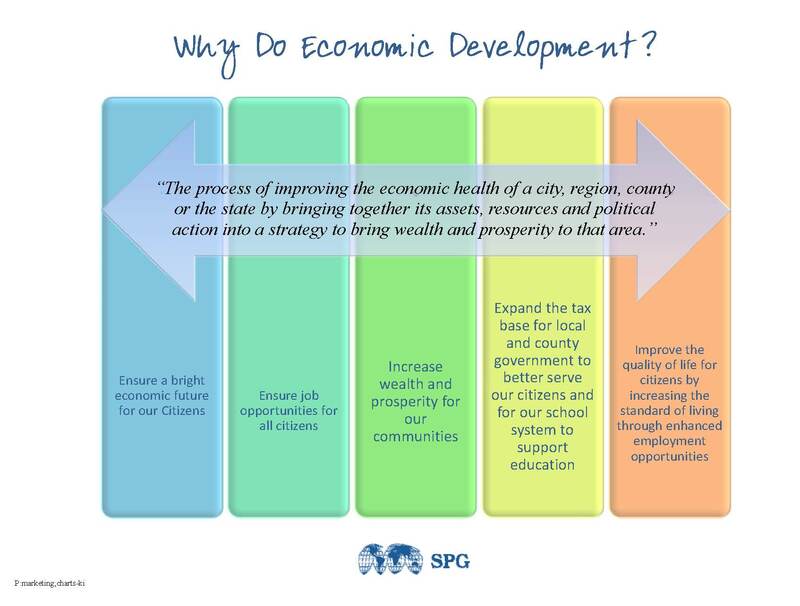 SPG is one of only three firms internationally that has developed detailed proprietary economic development and industrial targeting models that can assist governments as they strategically plan their economic development programs. This experience has been used to help both public and private sector clients embark on successful, financially feasible, industrial development programs. Please click here to get your free version of Adobe Acrobat to view PDF files throughout this site.